Typically a design for a kitchen or a master bathroom or other custom project includes a layout and 3D renderings. With Moore Home Remodeling it’s so much more than that. We not only help you find the functional layout for your space that you’re looking for but we also consult with you and our preferred industry partners to find the style and textures to complete your new space and meet your design goals. We then do the construction or “build” phase of work. When you receive an estimate from a contractor without a plan it really is just that; a ballpark “estimate”. It isn’t until each of the finish items are selected and accurate measurements can be derived from a design that actual costs can be determined. Examples of finish items are: cabinetry, countertops, floor tile, wall tile, plumbing fixtures, other hardware (knobs, pulls, wall racks), organizational cabinet inserts, lighting fixtures, etc. 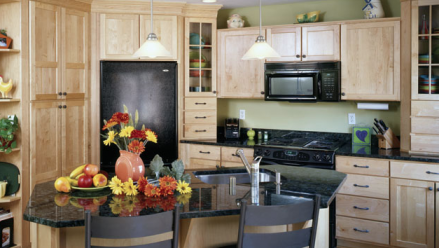 Additionally, every remodeling project is completely custom. When building a new home most elect to select a builder that has a number of set home plans to choose from in different price ranges. Any deviation from such a plan increases the cost of building that home. In the remodeling industry we do not have the luxury of a “set plan”, every home is different. With Moore Home Remodeling your home is considered as individual as you are. So it is as impossible for a contractor to tell you how much a whole new wardrobe would cost or say how much your next car will cost as it is to determine the cost of your remodeling or addition project without more detailed information. We can however, through the planning process, and with much input from you along the way, arrive at a plan and tell you how much we would expect that plan to cost. Our process does require time. The time varies depending on several factors as well; how quickly all parties communicate, the number of changes to a design that are required to arrive at the final layout, and how quickly homeowners make selection decisions are just a few. The benefit to having your project design as well as construction work done by Moore Home Remodeling, is in the cost and time reduction. Occasionally a homeowner brings us a design they have purchased elsewhere and together we realize that it will not work in the space without costly changes. Often costs are not accurately considered by an outside designer and once all numbers are tallied by a contractor, the design is too far outside the homeowner’s investment goal making the design useless for budget reasons. All of this individual exploration costs time delays as well. When we at Moore Home Remodeling are in design phase we are considering the material and install costs all the while, so we get there sooner and you know the costs involved while you’re making selections and decisions.